We were thinking that your central vacuum power unit should fit your needs—be innovative, efficient and quiet—by design. 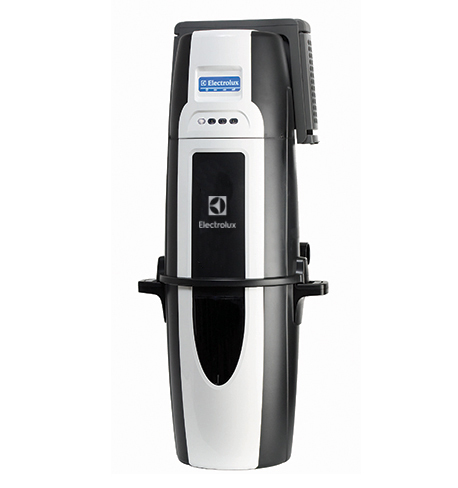 The Electrolux Oxygen central vacuum system is sleek and quite, yet robust and powerful. It offers intuitive and convenient product features combined with easy-to-use advanced information displays. We offer 3 Oxygen models, varying in features and performance—designed with you in mind. Patented sound reduction technology integrated in the product design ensures ultra-quiet operation. Exclusive, maintenance-free GORE-TEX self-cleaning filter or use an optional paper bag filter for even more hygienic dust disposal. High-efficiency motor technology delivers optimal cleaning performance with lower energy consumption.